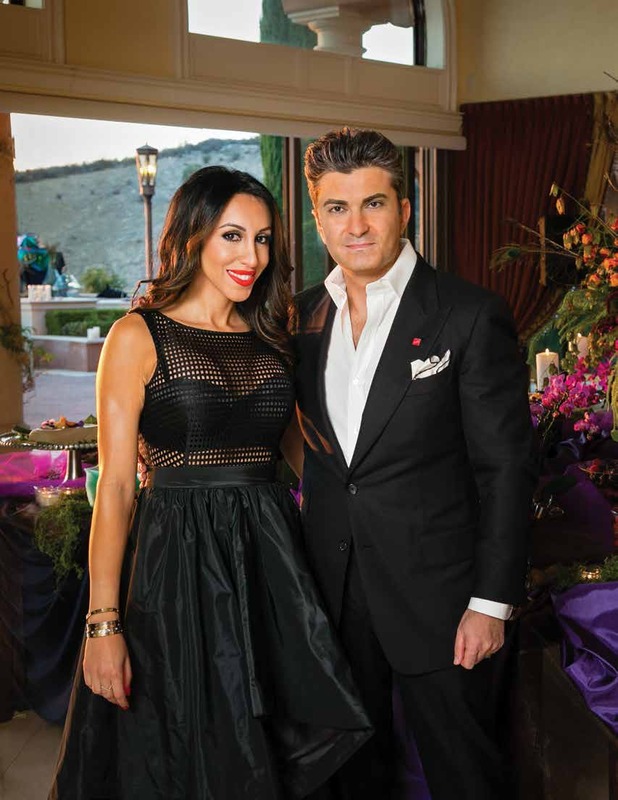 For the Hartoonian family, Calabasas has become a treasure chest of experiences and adventure in every possible way and so much more. 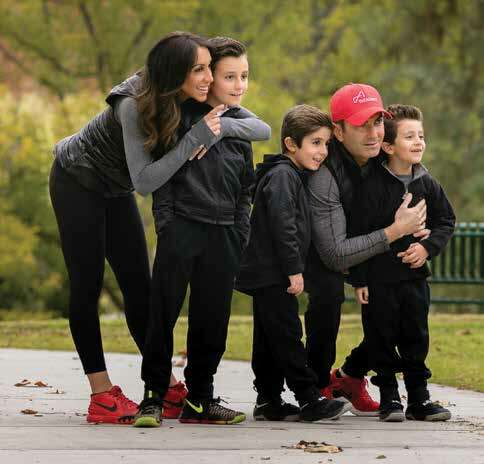 Emil Hartoonian and his wife, Ellie, along with their three boys, have lived in a stunning house in The Oaks for a little over six years now. Originally residents of Porter Ranch, the Hartoonians made the decision to move into our remarkable community for a variety of different reasons. 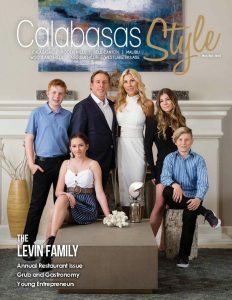 Like so many young families that make the move to Calabasas, the Hartoonians loved the amazing schools, the sense of community, and the world-class amenities, along with the privacy and security. In fact, most of the young couple’s friends already lived in the area. Yet, for Emil, his ties to Calabasas ran far deeper than all that. Emil’s love for Calabasas had already began to blossom several years before, in a much more professional setting. 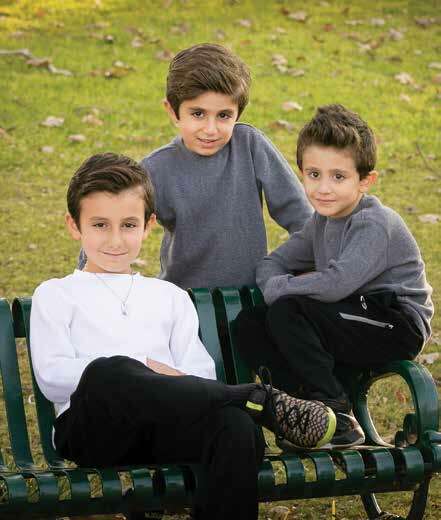 Like their parents, the Hartoonian boys have become very integral little parts of this community. Ariyan, the oldest, at 9-years-old, attends Carden Conejo school in Westlake. An emerging food connoisseur, Ariyan takes cues from his father’s adventurous palette and trusts his parents’ taste. “Most of the time he just says, ‘I’ll want what you are having.’ For a 9-year-old, he is really starting to know his tastes,” boasts proud father Emil. Ariyan also loves basketball and is an amazing artist as well. At 6-years-old, the middle Hartoonian son, Arshan, loves art. His creative side shines through with his many beautiful projects and art pieces. “He has the biggest heart and charm for such a sweet little boy,” admires his loving parents. He, like his older brother, attends Carden Conejo and loves to play basketball. The youngest Hartoonian boy, Arman, is just 4-yearsold. Arman attends Boulevard School in Woodland Hills. He is the builder of the bunch. With a wild and crazy imagination, the youngest boy in this motley trio keeps his parents busy. He is a non-stop fountain of gushing energy. Emil and Ellie certainly understand the nuances of building a lifestyle and home in Calabasas. With their three young boys brimming with energy and curiosity, the mantra of this family has become “What’s next?” For a close-knit family like the Hartoonians, finding new and exciting things to do in the area is both the challenge and the reward. Emil and Ellie have tried to instill in their boys a sense of adventure. These busy parents find themselves having to stay one step ahead of their energetic trio. Keeping these boys engaged and occupied is a full-time job in itself. Always trying to keep things fresh and interesting, the Hartoonians of Calabasas continue to explore the undiscovered treasures in their own backyard.